Special thanks to MusicTech for their in-depth review of CineHarps! Cinesamples is proud to present the completely re-imagined, deeply-sampled sequel - CineHarps. Recorded at the historic MGM Scoring Stage at Sony Pictures Studios in Los Angeles, CineHarps captures the ease of use and varied techniques of the original CineHarp while adding pristine audio fidelity and improved features that will make this a classic in any composer’s template. Recorded in three distinct positions on the scoring stage, CineHarps includes multiple articulations and timbres - plucked patches, precise glissandi, and incredibly robust effects. Whether a composition calls for classical harp techniques or a hybrid sound design approach, CineHarps offers composers the richest harp sounds available. 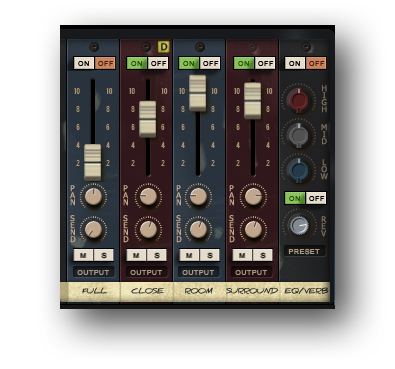 As with all CineSymphony libraries, CineHarps library does not require you to purchase any additional sample playback software, and is licensed to work with the Native Instrument’s free Kontakt Player. All you need is a sequencer like Logic, Cubase, Digital Performer, LIVE, Pro Tools, Cakewalk, or even Apple GarageBand and you’ll be up and running. CineHarps includes the addition of a new Perspective Mode. When Perspective Mode is turned on, a slider appears that performs a smooth crossfade between the Close, Room, and Surround microphone perspectives. This slider is automatically mapped to the mod wheel, giving you the ability to instantly control the relative depth of the instrument. Gliss Mode transposes all of the white keys according to the selected notes and pedal diagram. This allows for easy playing of glissandi on the white keys. When the Gliss Mode button is active, note attacks in faster phrases are gently softened. The faster you play, the softer the attack. Tip/Trick: Turning on Gliss Mode and leaving the pedals set to C major allows you to play chromatically, but still softens the onset of each note in faster phrases, which can result in more realistic trills, bisbigliandi and other types of playing. Above the Close microphone perspective is small yellow button marked with a “D”. Activating this button delays the sound of the Close perspective by approximately 15ms, which time aligns the Close with the Room and Surround Perspectives, resulting in a tighter sound. Turning off the Close Delay gives the instrument more depth and definition, which can be useful for featuring it in the mix. 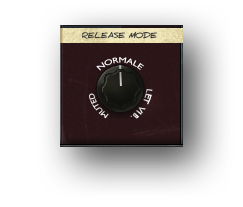 The Release Mode knob changes the way releases are played. “Muted” simulates the harpist immediately dampening the string at the note release, and “Let Vib.” allows the string to ring out for its full duration ignoring any note releases. “Normale” provides a moderate decay to the release. This control along with the Release Volume control can be used to dial in the exact type of release behavior you are looking for. The RR Borrowing knob employes surrounding notes as additional round robins. A value of 6 results in up to +/- a tritone of borrowing providing up to an additional 12 round robins per note. A value of zero only plays two round robins per dynamic level. Higher values result in more round robins and more tonal variation. 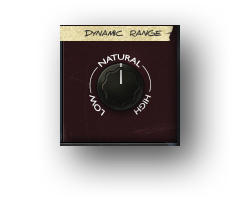 The Dynamic Range knob can increase or decrease the overall dynamic range of the instrument. 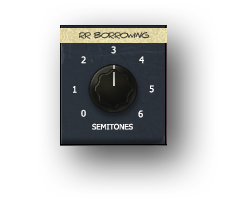 With the knob turned all the way up, low dynamics are almost completely inaudible and higher dynamics are very loud. With the knob turned all the way down the instrument plays all of the recorded dynamic layers, but at the same perceived volume.